I remember, when I was young, Grandpa tearing off a hunk of bread, slathering it with yellow mustard, not butter, and devouring it. He also ate 2 scrambled eggs, in lard, 3 meals a day forever. He was a hard-working farmer who died in 1975, when he was 85 years old. Back to the mustard ~ it’s hands down my favorite condiment also. Use your favorite mustard in this recipe; be it yellow, Dijon, or stone ground. 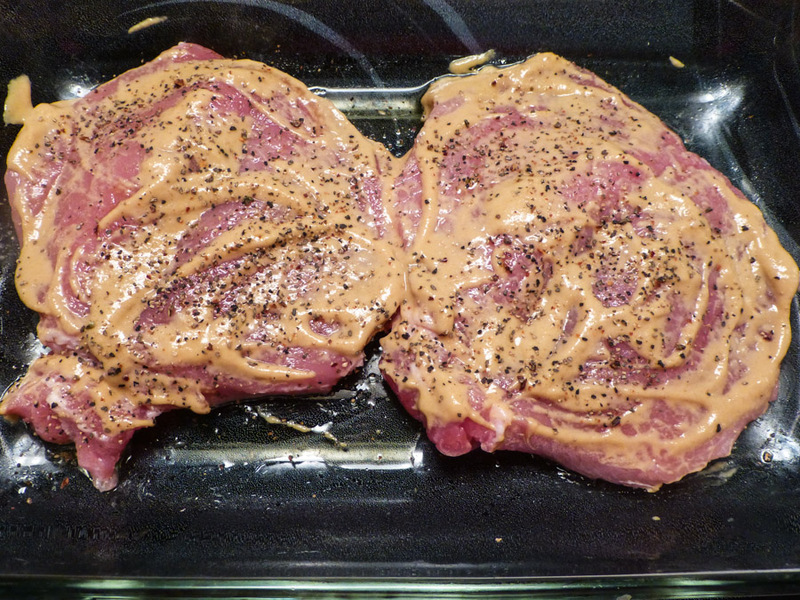 I guarantee if you spread this tangy sauce of Dijon mustard, honey and seasoned pepper over your pork chops, it will jack them up into a tender moist goodness! Place pork chops in pan and spread sauce over chops. 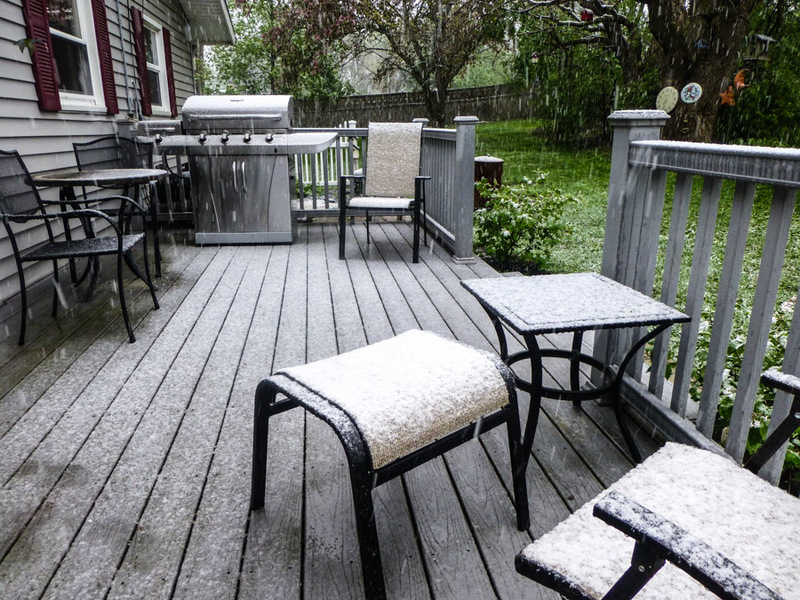 It’s MAY 16, snowing like mad, and all of 33 degrees! We thought it was Spring last week, but we were mistaken! The crabapple tree in the background is just starting to blossom. As for the ocean perch: it’s also known as “redfish,” “rockfish,” or “redbream,” with its red skin and white flesh, and a hint of the saltwater it resides in. It’s closely related to haddock and is found in the North Atlantic Ocean near North America and Europe. It’s small and has a somewhat delicate texture; usually not firm enough to grill. I pan-fried the perch with a light breading in a small amount of oil, about 4 minutes per side. It cooked into a crispy golden hue that gave a crunch with every delicious bite! It was mouthwatering good, easy and quick ~ it hit the spot! Blend in next 4 ingredients. Heat enough oil to coat a non-stick skillet over medium heat. Cook fish about 4 minutes each side, until it is cooked through and flakes easily. We’re still having cool weather here ~ heavy thunderstorms last evening, so this dish was flat out delicious for the circumstances: bites of tender pork topping egg noodles that soak up the rich-tasting tangy sauce! 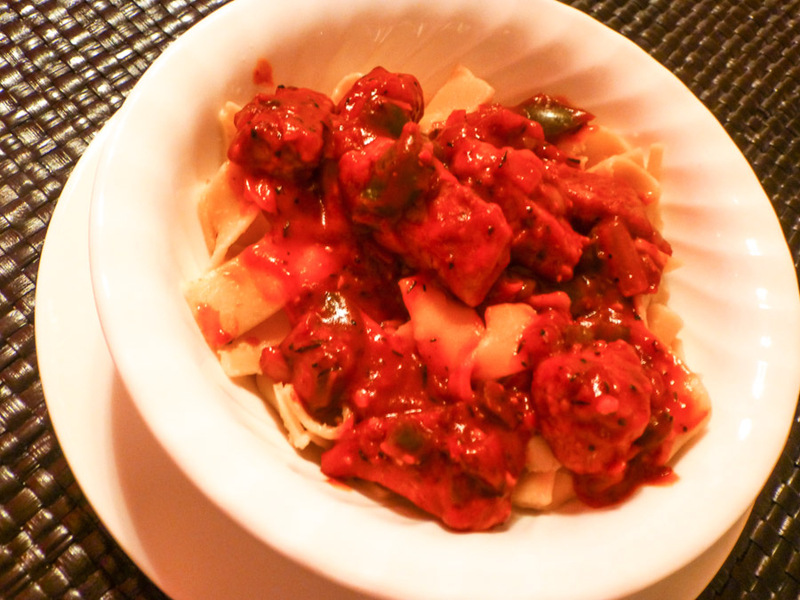 Pork paprikash is native to Hungary, and a close cousin of goulash. I make it using sweet paprika; you make it with hot paprika, if you like the heat. 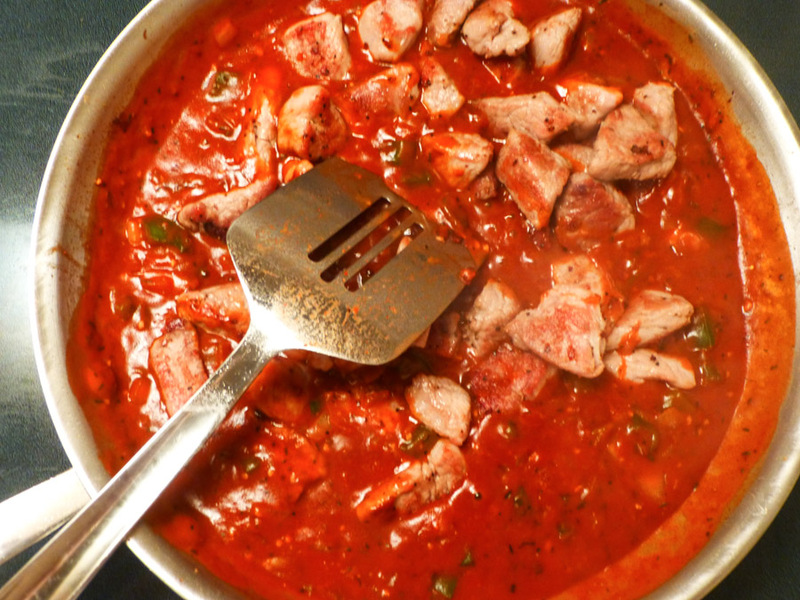 Chunks of pork are browned, and then simmered, in a sauce of paprika, onions and bell peppers. Sour cream richens the savory flavors of the dish. Unfortunately, I don’t recall the source of the recipe. Dad reminded me every May 11th ~ about the twin heifers born on our farm ~ the same morning I was born. 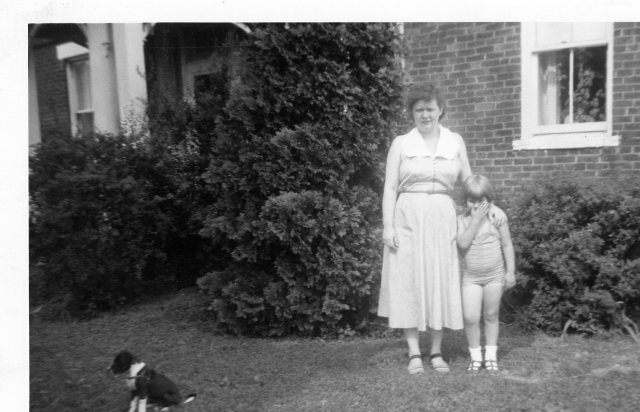 My birthday falls on Mother’s Day. That makes it easy for the family, it’s a twofer! And especially to you, Mom! 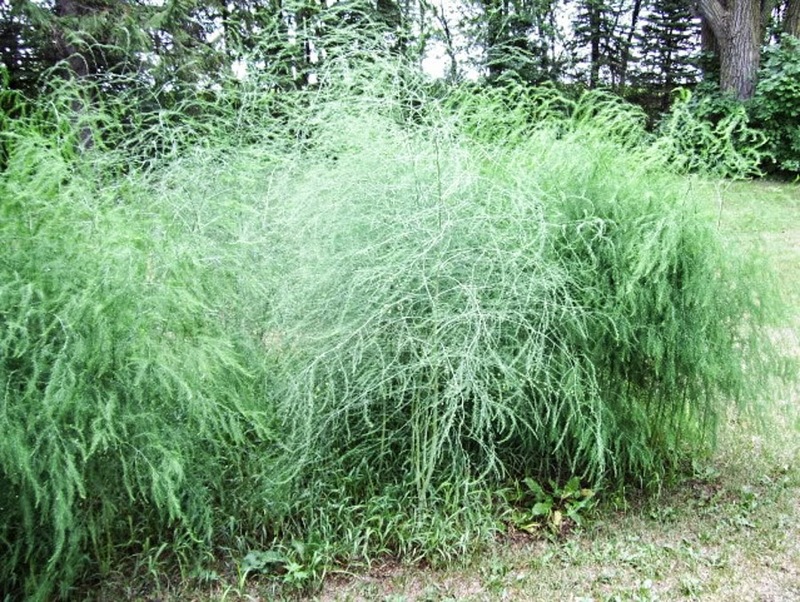 I see asparagus growing wild in the countryside around our area ~ it’s spindly, pencil-thin, and easily entangles itself in briars and grasses. Through growing methods and knowledge, grocery store asparagus has a thicker stem and more edible flesh for cooking, not like wild asparagus at all. There are records of asparagus being grown in ancient Rome and Greece. Over 2,000 years ago, Egyptians cultivated asparagus for medicinal reasons, and it was apparently so revered, that they ceremoniously offered it up to the gods. Aside from its delicious taste, it’s a popular veggie because of how speedily it cooks. The saying, “as quick as you can cook asparagus” is an old Roman expression. The Romans were so enamored of asparagus, that legend tells us they engaged a whole fleet of ships just for fetching it. And, now for the recipe: it’s a quick side dish filled with tasty flavors. Garlic sea salt enhances the asparagus while roasted sesame seeds deliver a nutty flavor. 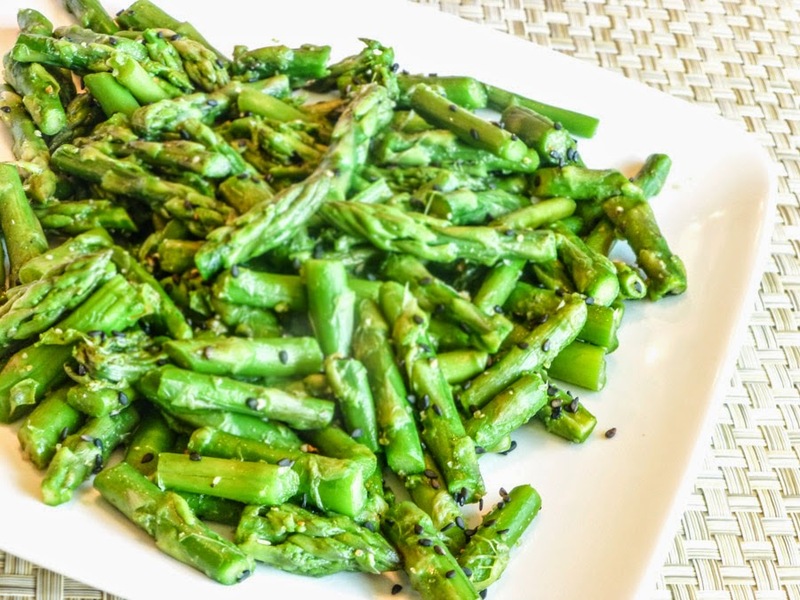 This is a delicious way to enjoy your asparagus and eat your veggies! Kudos to the asparagus gods! Snap off woody ends of asparagus, rinse, slice into 2” pieces. Fill a large saucepan with an inch or two of water, and bring to a boil. Add asparagus, cover and cook for about 4-5 minutes, or until fork tender. Combine remaining ingredients and toss lightly with asparagus. *This is a new item in the stores here; I think it’s great! **Toast black sesame seeds in a large skillet over medium-high heat and cover pan with a lid. Some seeds will pop and the lid keeps them in the skillet. Shake skillet after a minute, and then let heat for another minute or so, until there is a nutty aroma. Pour seeds in a bowl until ready to use. 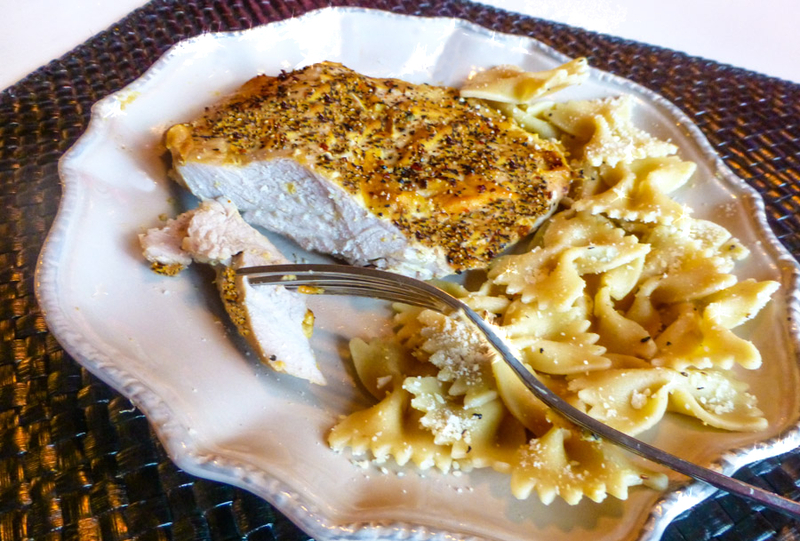 When we want veal for dinner, this is my go to recipe ~ it’s quick and easy ~ a delicious entrée. I slightly adapted an Epicurious recipe. The main difference is in the cheese. I topped the veal with grated Parmesan before serving, while the original recipe calls for topping the veal with slices of Mozzarella cheese, and allowing it to melt before serving. The dried red pepper gives it zip, and you may like adding red wine as a deglazer after the veal is sautéed. 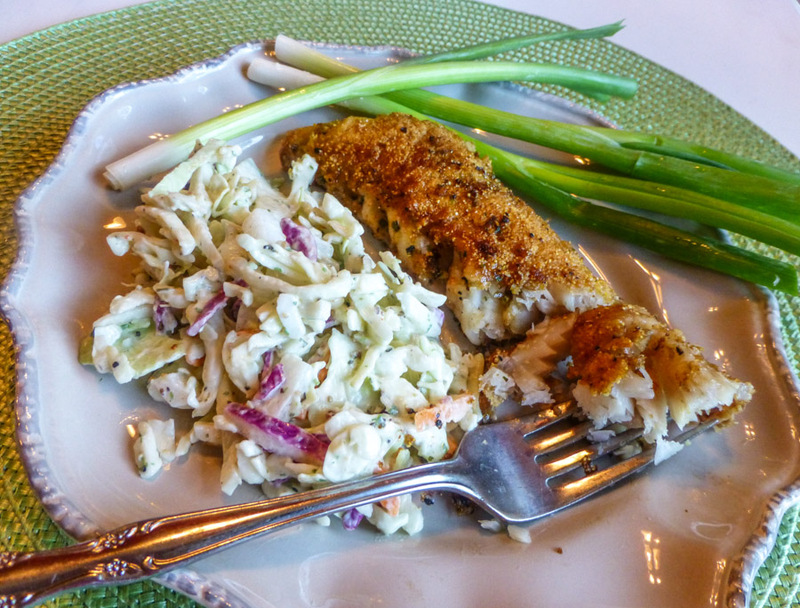 Serve it with angel hair pasta and a little mesclun salad, and there you have a complete scrumptious meal! Dust veal with flour and sprinkle with salt and pepper. Sauté until brown, about 2 minutes. Transfer veal to a plate and keep warm. If needed, coat skillet with cooking spray. Add garlic and sauté for a minute or so. Stir in tomatoes and next 4 ingredients; bring to a boil. Simmer until flavors blend and sauce thickens slightly, about 8 minutes. Top with cutlets and allow to simmer until veal is tender. 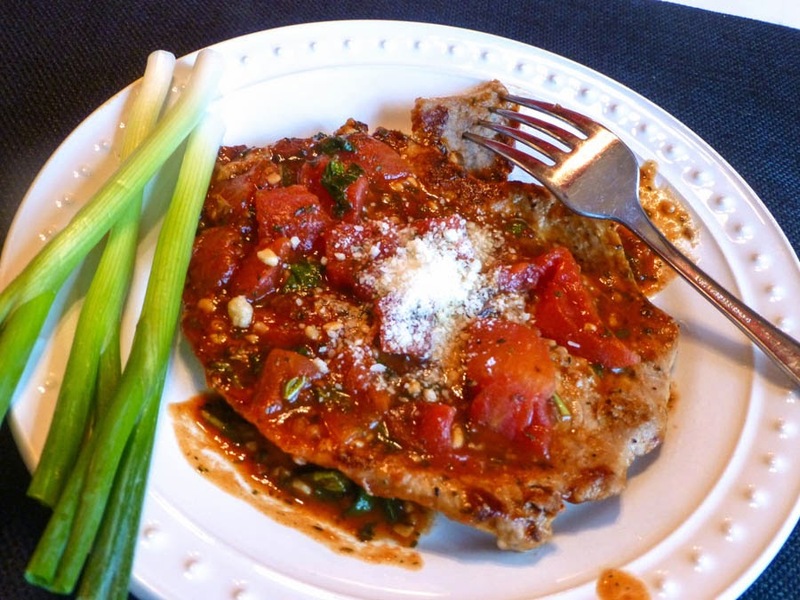 Arrange veal over tomato mixture on a platter.